Many celebrated couples from the glitter town took the nuptial dive- Deepika Padukone – Ranveer Singh, Priyanka Chopra – Nick Jonas, Kapil Sharma – Ginni Chatrath, among others. And guess what? The year 2019 has also started with celebrity weddings, and the recent names include- Prateik Babbar – Sanya Sagar. The wedding spell continues in Bollywood and this time it is in the Bhatt family. 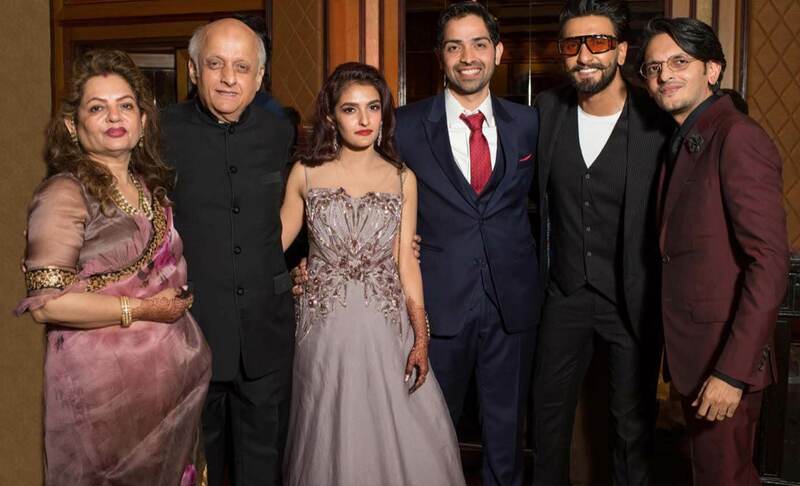 Sakshi Bhatt, daughter of filmmaker Mukesh and wife Nilima Bhatt and niece of Mahesh Bhatt, got married to her long-time boyfriend Mazahir recently. While the wedding was a cloistered affair attended by close friends and family members. The bride looked fabulous in her pink lehenga and the groom looked dapper in a golden sherwani.